Solid wood parquet flooring started its journey when the Versailles palace was equipped by it. And since then solid wood parquet flooring did not loose any of its charm. It is very popular among modern homes, bars and offices. It can handle high traffic levels and gives you the timeless appeal of real wood. Solid wood parquet flooring is quite easy to install and even easier to maintain. We should just be careful not to damage the surface of the solid parquet flooring and we should clean it every other day to prevent pieces of dirt write small scratches into it’s surface. In our company we are offering you high quality solid wood parquet. You can choose between different kinds of wood – for example cherry or oak parquet flooring. We are also giving you a chance to choose between different colours of solid wood parquet flooring. Manufacturers are making a really great job on producing the solid wood parquet flooring, because flooring is very resistant and with a proper care it will last a decade before you will have to change it. Take a look into our online store and pick a solid wood parquet from the manufacturer you like. We are always here to help you via phone or e-mail. We will help you find answers to you questions quickly and accurately. In our online store, you can choose between different types of solid wood parquet flooring. You can either choose solid parquet flooring made from oak or a cherry tree. 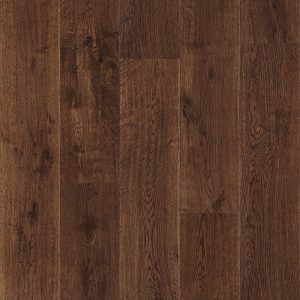 We are also offering you laminate with the effect of wooden flooring. Costs of wood parquet flooring are low and quality is very high. Choice is varied. Pick your favourite solid wood parquet flooring or laminate with an effect of parquet flooring and make your house your favourite place.